The Treasure Trove is the banking deposit investment for people who can’t afford to do any real-adult banking. Read this article and learn how to put in a deposit in Lords Mobile. What is the Treasure Trove? The Treasure Trove is the Lords Mobile Savings Bank. You can unlock it when you reach Castle Level 17. It’s a place where you can deposit gems and collect interest over a set amount of days. If you pull your gems out early, you lose your investment. It’s really that simple. Once you start, don’t stop! You’ll be tempted to stop, but just keep your investment running into the 30 days are over. You have 3 options: a 7-day deposit, a 14-day deposit, and a 30-day deposit. The 30-day deposit is the best. Keep reading to learn why. The minimum investment is always 10,000 gems. How Soon Should I Max the Treasure Trove? This is a really easy answer! As soon as possible. A fully maxed Treasure Trove will generate a minimum of 20,000 gems per month. To put that in context, the $9.99 monthly package only gives you 10,500 gems per month. Get the Treasure Trove Building up to Level 9 as soon as possible. If you need to dedicate all your gems to buy crystal pickaxes, do it. Don’t bother trying to get T4 troops until you first have a maxed Treasure Trove. I know that some experts will argue that a Level 8 Trove is fine. I even wrote it on this blog in the past… Well, I changed my mind. Don’t settle for Level 8. Max the building with the same enthusiasm that you swallow down cupcakes during your “diet”. 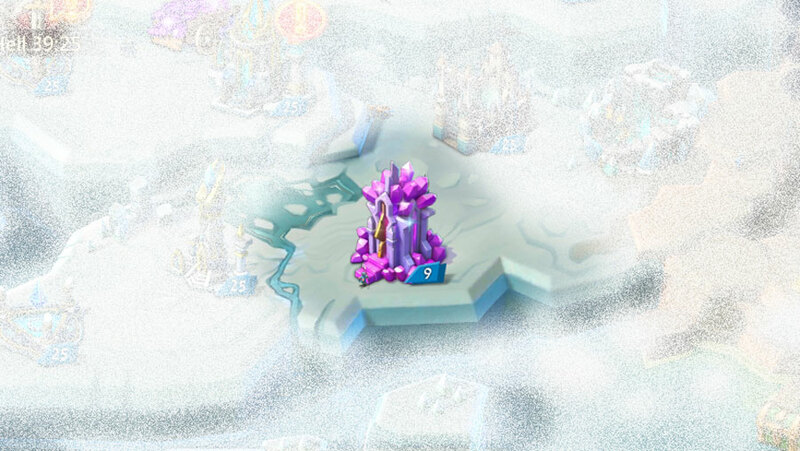 As soon as you hit castle 25, go for the Treasure Trove Level 9. 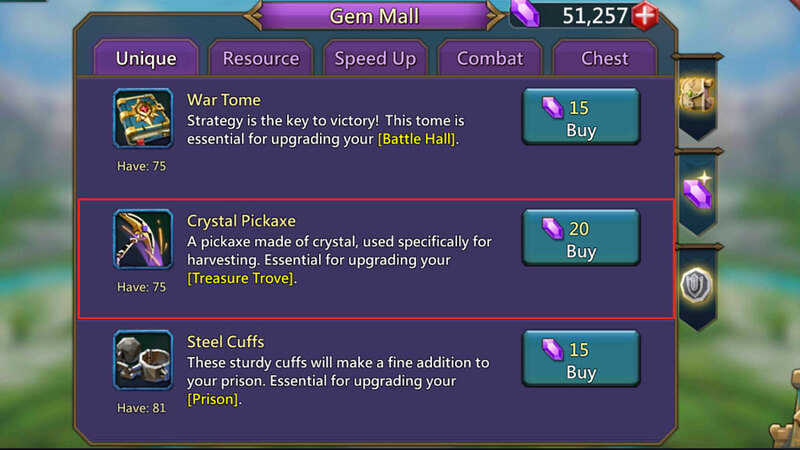 Crystal Pickaxes can be purchased in the Gem Mall, won in Guild Fest, and found in Treasure Chests or Monster Hunts. Once you reach level 6-7, you will probably start having to buy the pickaxes with gems. To max the Treasure Trove to Level 9 it will cost you 5,000 Crystal Pickaxes. The best strategy would be to buy 4,000 pickaxes (at 1,000 pickaxes for 14,000 gems) at 42,000 gems before Level 7. One final note is that you will need the Gold Hammer to bring the building to Level 9. That will cost extra gems, but within 1 month you will make your money back! How to Further Improve the Treasure Trove? The Trove is pretty good without any improvement. It gets even better when you boost it with research and Familiars. 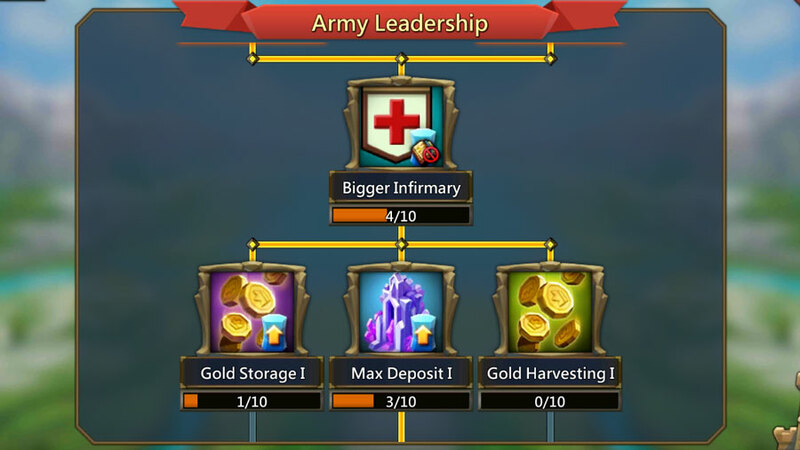 The Max Deposit Research in the Army Leadership Section will enable you to deposit an extra 10,000 gems into the Trove. The Max Deposit II Research in the Military Command Section will enable you to deposit an extra 5,000 gems into the Trove. Every time you upgrade the Treasure Trove Building, you receive a bonus interest and higher deposit rate. At Level 9, you will get an additional 20% and a max deposit of 20,000. The Level 4 Hoarder Familiar adds an extra 10,000 gems to the Treasure Trove. I’m a strong believer of only doing the 30-day deposit. There are, however, a few scenarios when the 7-day deposit may not be the worst idea in the world. Don’t do a 14-day deposit. Why? Because it’s a dumb idea, that’s why. The 30-day deposit is the only option that you should really ever use. You should also always put the maximum amount of gems into the trove. Don’t just fill it up half way and begin the cycle. If you are on Level 9 of the Treasure Trove, without including the added boosts from research, you can get of 21,000 gems every month. That equals 700 gems per day. With full research for Treasure Trove, you can get a lot more. I haven’t personally reached the max on the research, but I estimate that you can get between 800-900* per day. Correction: Thanks to @Thurink for working it out. Below are the maximum amounts that you can generate from Treasure Trove. *The actual maximum per day is a whopping 1,575 gems per day! If you are a loser and have too much time on your hands (or if you are a serious Lords Mobile fanatic), you can join my mailing list. Type your email and press “Enter” (or “Return”) to join! 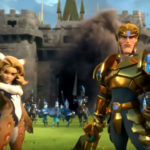 If you want to visit the Lords Mobile Wiki, click here. Copyrights © 2018 Marks Angry Review. All Rights Reserved.